Once you have become a more proficient angler, you will probably begin looking for gear and equipment that will improve your style of fishing. Well, this is precisely the opportunity that baitcasting reels offer. They have a number of advantages including better control and improved cast accuracy, thus considerably improving your chances of scoring a catch. Of course, this is provided that you get the best baitcasting reel available. First, this is not a good reel for novice anglers and is specifically meant for those who have had previous experience with fishing. Even then, you can expect there to be quite a learning curve. One of the reasons that this can be such a tricky reel to work with is because of the difficulty learning to cast. This is particularly because the line tends to feed out after the lure lands if you don’t stop the spool in time – So, it is a good idea to get some practice in first. The other thing to consider with these reels are the handles. Now, because of the way baitcasters have evolved, many of the reels are right-handed models. There are also many reels that don’t allow you to switch between the sides so you tend to get stuck with what you bought. Of course, you will need to pick a reel that is comfortable for you to use. That being said, it is a good idea to choose a reel that is opposite to that of your dominant hand. So, if you are right-handed, you may want to choose a left-handed casting reel and vice versa. If you are wondering why this is, the answer is simple – with this method, you will not have to change hands after the cast, making the whole process a lot more efficient for you. Which Profile Do You Need? The first step that you will need to take with your baitcasting reel is to decide between the round profile and the low-profile. These terms refer to the design of the body. There are a few things that will determine which type of profile will work best for you. This includes your fishing style, what line capacity you prefer, and even your chosen level of comfort. If you are going after bigger fish and want more power on your side, then you will find a round profile reel to be optimal. This type of reel is gripped from the back which is why it offers you greater torque. As a result, the round profile accommodates big lures, baits, and fish incredibly well. So, if you want to target salmon, pike, muskie, or steelhead, this is the reel for you. Round profile reels are also capable of holding a greater amount of line. This is why they are used for angling and trolling at greater depths. Anglers who value comfort gravitate towards the low-profile reel. What stands out about this reel is that it has a palm-able grip – this means that if you like to hold onto the reel and the handle when winding, it is going to be more comfortable for you. The entire design of this reel is based on making it more ergonomic which, in turn, makes for better (and easier) wrist action. If you are fishing for bass, then this is the reel for you. After this, you will need to identify the gear ratio that is best for you. Simply put, the gear ratio refers to the number of times that the spool revolves when the handle is turned. This determines the speed of the lure you retrieve. When you look at baitcasting reels, you will notice certain numerals. They will appear in the following format: 6.4:1 – this denotes that the reel turns 6.4 times with each (one) turn of the handle. So, the greater the number of revolutions, the faster your retrieval rate. Typically, gear ratios lower than 5.9:1 are considered slow, while those from 6.0:1 – 7.2:1 are moderate. Anything above this is quite fast. Now, it is important to note that it isn’t always necessary to opt for a very fast gear ratio. Because, when you do that, you are automatically forfeiting cranking power. Most anglers consider their lure when selecting the gear ratio. A lower gear ratio is best suited to large spinnerbaits and diving crankbaits. Soft plastics, Texas rigs, and jigs work better with a moderate retrieval rate. Usually, anglers opt for the faster gear ratios when using buzz baits, certain spinnerbaits, and a few lures. When you are contemplating which spool size to get, you will need to think about the kind of line capacity that you will require. This can be calculated by figuring out the type of fishing you are doing and the size of fish that you are looking for. Traditionally, if you are going after big fish or will be trolling, then you need a considerable amount of line. As such, a bigger spool size is needed and you should think about getting a round profile reel which has a higher line capacity. If you are just casting, however, a low-profile should work well for you. Drag is the tension that is placed on the spool, determining how easily the line can be pulled off the spool. It also helps to manage the fish at the end of your line so you will need to carefully think of the system that is at play here. When a fish pulls out the line, the drag disc heats up and expands. Just how much depends on the pressure and speed being placed on the line – if there is too much, the line can snap. The key here is to maintain a constant speed and pressure so that the heat is allowed to dissipate. Therefore, you should consider drag systems that are made of ceramic, carbon, or graphite. The other thing to examine is the braking system on the reel. This is responsible for reducing the speed of the reel rotations. You will then be able to cut down on the amount of backlash on the spool. You can choose between either a centrifugal or magnetic system for your baitcasting reel. The centrifugal braking system relies on centrifugal force and pins. The pins extend out further when the rotation speed of the spool is higher. Due to this, this system controls the spool speed at the beginning of the cast. Magnetic brakes rely on magnets, with the main benefit being that the system is adjustable. The magnets control the speed throughout the entire cast, with the resistance being constant at all times. Frame: baitcasting reel frames are either die cast or machined. The materials used can be either graphite or aluminum, although sometimes it is a combination of both. Frames that boast higher quality and rigidity are typically made from a single block of material. Ball Bearings: these are what ensure the smooth running of the reel and act as support to the gears as well. With ball bearings, it is all about quality over quantity. So, instead of counting the number, it is best to focus on ones that are labeled as stainless, shielded or double shielded. 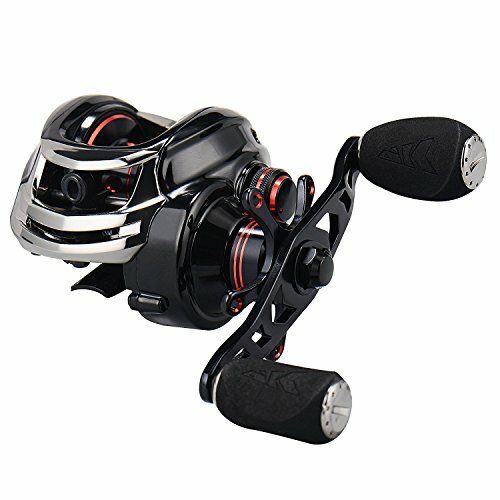 What I found to be particularly impressive about this baitcast reel is the fact that it comes with a multi-setting brake. This means that it utilizes both the centrifugal braking system and the magnetic cast control. So, even if you are planning on taking on big fish that will fight back, you can be confident that your line will not be snapping anytime soon. Another positive point for this reel is how light it is. This makes it very comfortable to hold and use for those longer fishing trips. The other thing of note is the drag system on this reel which ensures that the drag is consistent throughout. As a result, there is practically no chance that you will have to deal with backlash. Also, in case you encounter a particularly lively fish, the system will prevent any over-run. The only thing that you will have to keep an eye out for is the retrieval rate. Even with a slower gear ratio, it tends to be quite fast so you need to be ready. Apart from this, the reel really checks out, especially when you go bass fishing. 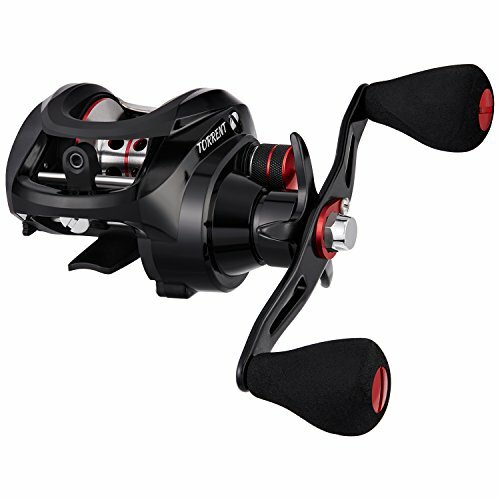 What the Daiwa Tatula reel offers over the competition is reliability and durability. If you tend to use and abuse your gear and want one that is going to last you for a long time, this reel is it. The reel is made from durable aluminum which feels quite solid while you are using it. Of course, the downside of this ruggedness is that the reel has a tendency to be a bit on the heavy side. Another advantage is that it casts really far and isn’t fussy about the kind of lures or bait that you use. You will have just as much success with light or heavy bait, making this quite a versatile reel. Also, from the moment that I tried out this reel, I could immediately feel how incredibly smooth the cast was, which takes some of the effort out of the process. At the same time, I also found that it was quite easy to adjust the tension which meant that I got to avoid any backlash or over-run when fishing. 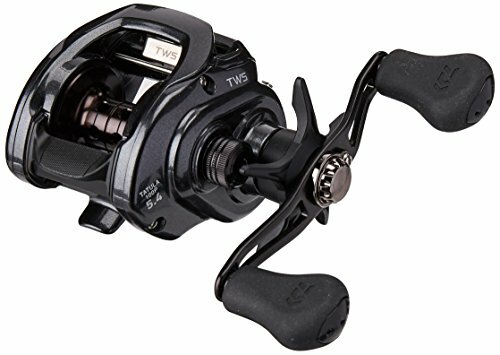 While the Daiwa Tatula may be priced as a mid-range reel, its performance far exceeds its category. So, you are getting considerable value for what you are paying for this reel. From the first glance, you can tell that this reel has been designed and constructed to perfection. It boasts a sleek, low-profile design that is actually incredibly sturdy and feels great in your hands. It is this strength and durability that are quite so surprising when you realize how little this reel weighs. Not only is the grip comfortable, the low weight makes this a reel that you can use all day long without tiring out. The reel also comes equipped with a dual braking system so that you get the benefit of both the magnetic and centrifugal force system. To add to the smooth casting performance of the reel, the reel also has shielded, anti-corrosion ball bearings. This makes it a good reel to use in any type of environment – fresh or salt water. The drag also works quite well and is smooth as well as consistent. Now, one of the downsides of this reel is that it can be noisy, even when it is brand new and has been oiled up. So, if you are able to ignore this, you will find yourself with a reel that is difficult to beat, particularly at this price point. 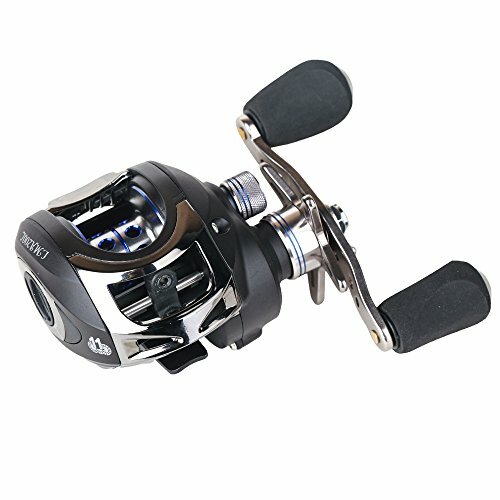 The beauty of this reel is that it helps to considerably improve your casting distance as well as accuracy. You get to tailor your casting so that your line and lure end up precisely where you need it to. 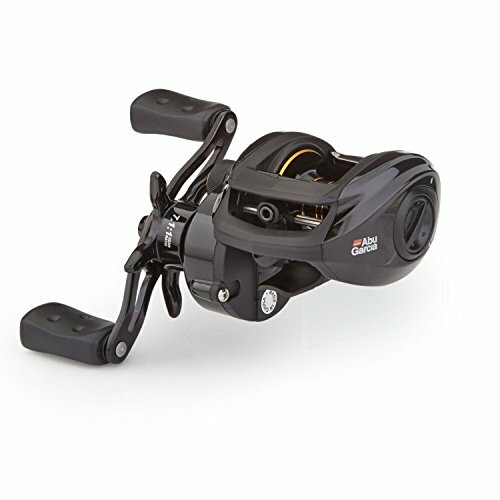 A large part of this is due to the MagTrax brake system that is included with this reel. It ensures that there is consistent and continuous brake pressure being placed on the reel, throughout the entire casting process. There is also no denying that this reel is an absolute joy to handle. It is precisely constructed so that it maximizes on durability but cuts down on weight. Also, the low-profile makes the reel easy and comfortable to grip for long periods of time. What I have found, personally, with this reel is that it works for baitcasting beginners particularly well. If you are going to learn the ropes, then the simplistic mechanism of the reel makes it easy. It will also last you through many fishing trips and possibly, years as well, which makes it a good investment. Of course, expert anglers may not be as impressed with this reel as it is lacking in a few advanced features. Apart from this, however, it is difficult to complain about this reel. This is a baitcasting reel that has been built to near perfection. Many of the gears and similar parts of this reel have been machined which makes them incredibly precise. As a result, you get a smooth and unbeatable performance. What I also really liked about this reel is that it has been designed to withstand pretty much all of the environmental hazards that you can think of. So, even if it is immersed in sand, saltwater, or freshwater, this is a reel that will continue to work beautifully. On top of this, it has been made so that you will find it incredibly easy to oil up and conduct maintenance on this reel. All in all, it is definitely one that is going to last long. The other feature of note on this reel is the magnetic brake. There are five magnets in this system ensuring that absolutely no backlash will take place, regardless of the fish that you are dealing with. However, you will need some time to figure out how to use the brake system efficiently — this can be a bit tricky for beginners. When you consider the price that you have to pay for this casting reel, you may realize just how much it has to offer. First of all, it actually looks quite good and you will not be able to tell that it is on the lower end of the price spectrum. It has also been constructed with great precision so that you can ensure the entire operation is smooth from start to finish. The manufacturer has also used durable materials that have been designed to withstand continuous use as well as a number of environmental factors. You can expect some longevity from this reel, regardless of how often you use it. This casting reel also has a decent amount of drag, particularly for anyone trying to catch smaller fish. If you do intend on moving up to a heavier lure or bait, you will need to adjust it accordingly. Apart from that, you will find that this reel is a good option for those only just beginning to dabble with baitcasters. This reel will require a bit of maintenance as it isn’t well greased. If you can manage this, though, you will have no other issues with it. What Is My Number One Baitcasting Reel? There is very little doubt that the KastKing Royal Legend deserves to be crowned victor among all of its impressive opponents. 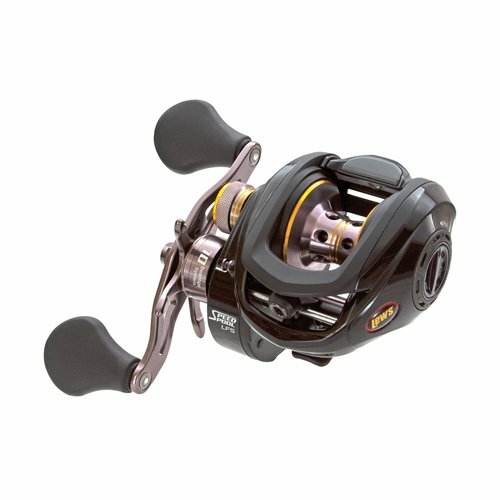 First of all, this is a rather affordable reel which makes it a good fit for both novice and expert novices. However, the quality is not reflected in the price as this is an incredibly well-built reel that has been designed to last for quite a while. For instance, it comes complete with shielded ball bearings that greatly improves the durability and the performance of this reel. Speaking of performance, this reel boasts great casting distance and accuracy, all the while preventing backlash and over-run, even in the face of large and struggling fish. This wraps up the discussion about baitcasting reels and those that will benefit you the most.